The Chiffons were an all-girl group originating from the Bronx area of New York in 1960. The Chiffons were one of the top girl groups of the early 1960s. 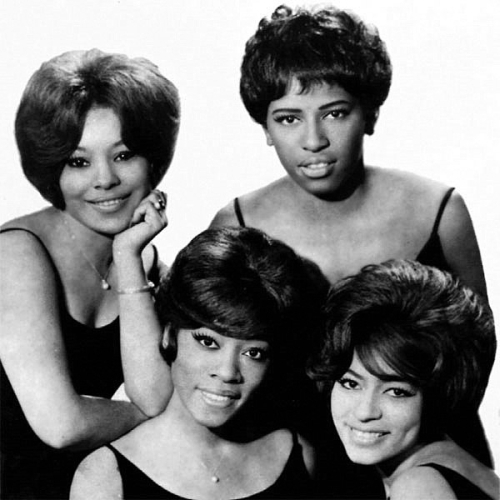 With their trademark tight harmonies, high-stepping confidence and the hit machine of Goffin and King writing songs such as "One Fine Day", the Chiffons made music that helped define the girl-group sound of the era. The group was originally a trio of schoolmates: Judy Craig, Patricia Bennett, and Barbara Lee; at James Monroe High School in The Bronx in 1960. In 1962, at the suggestion of songwriter Ronald Mack, the group addedSylvia Peterson, who had sung with Little Jimmy & the Tops at age 14, sharing lead vocals with Jimmy on "Say You Love Me," the B-side of the Tops' 1959 local hit "Puppy Love."